To wrap up Mario week, here’s a special feature, the live recording of the Main Theme from Super Mario Galaxy 2, courtesy of Minna no Wii, the Japanese equivalent of the Nintendo Channel for Wii. When the first Galaxy was released, Nintendo did a similar thing with the excellent “Gusty Garden Galaxy” two years ago (and this theme actually includes a leitmotif from that game. This piece wasn’t used in its entirety in the game, but elements can be found in “Space Station Galaxy 1”, which is also included below. 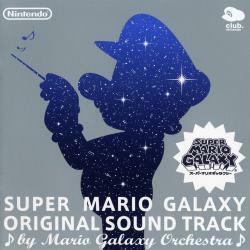 The track is performed by the impeccable Super Mario Galaxy Orchestra, which also did the first game. In the video, keep your eyes open for Mahito Yokota, Koji Kondo, and Shigeru Miyamoto as they listen to the performance with critical ears. Oh yeah – the drum guy also gets his own sound booth! The Main Theme is perfect for exploring vast space vistas, the urge to jump forward and see what’s out there, thus capturing the game’s spirit. It does this through use of brass and has an epic opening, with upward and downward sweeping of the music before launching right into the main section with a cymbal crash. The first segment is multi-layered with brass and strings, each interweaving to create depth and make it easy to always here something new with each playback. The second main section has a spacey sound that could be a synth (or maybe it’s created with strings). Here, strings and flute interact in call and response while the drums fill in the low section. Finally, the main theme from Super Mario Galaxy (or “Gusty Garden Galaxy”) makes its triumphant return to fondly recall experiences of the original. Read the rest of this entry ? It is difficult to discuss the Mario series without discussing the main theme to the original Super Mario Bros., but I feel it is also difficult to do so as well without the main theme to Super Mario 64 (1996). The “Super Mario 64 Main Theme” was one of the songs that defined the game and stands as one of Koji Kondo’s strongest compositions. Defined by a well-defined melody with steplike punctuations, the track is very memorable, capturing the sheer joy of running around in a 3D world for the first time. Kondo was able to capture the sense of Mario’s feet as he moves as well as the slopes, hops, and slides of his world. However, the original composition seems rooted in earlier technology – though the midi are unique (particularly the cute ‘doo doo dee doo’ instrument) and purring trumpets, the track gains far more flesh and stature in modern interpretations, particularly Mahito Yokota’s arrangement from Super Mario Galaxy 2. (The image below is because the track is defined more by Mario 64 than Galaxy 2). As such, the original theme was more about melody than depth, though it accomplished the former superbly. Now I won’t give away where this appears, but let me say it’s one of my favorite galaxies in the game, which is a little surprising! It’s also one of the perfect discoveries to make at about 10 PM at night! There is something about the “Super Mario 64 Main Theme” that makes it particularly easy to orchestrate in a Big Band (a kind of jazz band from the 1930s and 40s Swing era, which this song seems to work best with). Maybe it’s the midi trumpets and the steady, punctuated beats, but in any case, nearly all arrangers seem to agree that a band mix with sax and brass is the best way. Mahito Yokota took this straight-up approach in Super Mario Galaxy 2, playing the main melody on saxophone with some excellent brass support – everything is simply fleshed out better. The percussion encourages clapping and toe-tapping, and is supported by an electric guitar taken straight out of the score for the original. There’s also a great ‘UNH!’ cheer at 1:08 followed by the reintroduction of the sax, which transitions nicely back into the main theme. When listening to this track, you can’t help but smile – this is the pure joy of exploration and running beneath the sun, play in melody. The “Super Mario 64 Main Theme” has seen two other excellent orchestral arranges Read the rest of this entry ? “Ship Plant” is the famous “Airship Theme” from Super Mario Bros. 3 (1988). 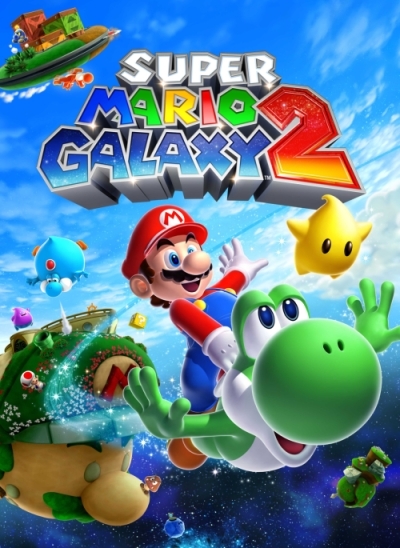 Originally composed by Koji Kondo, the track was orchestrally arranged for Super Mario Galaxy (2007) by Mahito Yokota, who also composed the majority of the Galaxy and Galaxy 2 soundtracks. 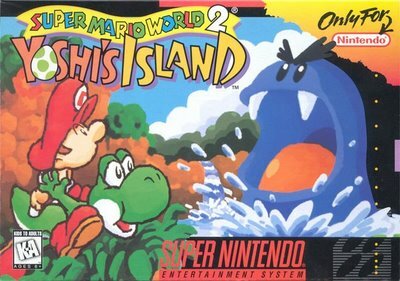 The song was only available in the Platinum version of the soundtrack CD released through the Japanese Club Nintendo. The track is memorable for its steady rhythm and punctuated notes, a short theme that is easily recognizable and instantly oppressive. “Ship Plant” is full of slowly building menace through the ominous drums, trumpets calling out gloom and disaster, and twirling strings that signal the steady twirl of the airship propellers. What one gets is the overwhelming sense of an unstoppable juggernaut, Bowser’s massive fleet of warships, a threat that must be conquered by Mario’s steady advance for the Mushroom Kingdom to be saved. The steady beat and punctuated notes of the main melody make for a readily memorable track that does great justice to the original version. The recording quality is also superb – listen for the cellos at 0:24 and the snare break at 0:33. It’s a shame the soundtrack was never widely available. The track was so good it was reused in Super Mario Galaxy 2. 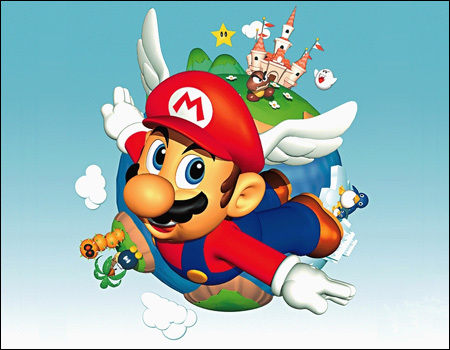 The “Airship Theme” has begun to reappear in the Mario games, most recently in New Super Mario Bros. Wii, which uses Super Mario Bros. 3 as its template. It’s not that great, but a welcome comeback nonetheless (the airship sfx for the propellers are excellent though). The best arrange this side of Galaxy is Motoi Sakuraba’s fantastic remix of this theme for Super Smash Bros. Brawl (2008). Read the rest of this entry ?